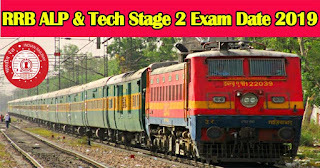 RRB exam dates for ALP & Technician are out. 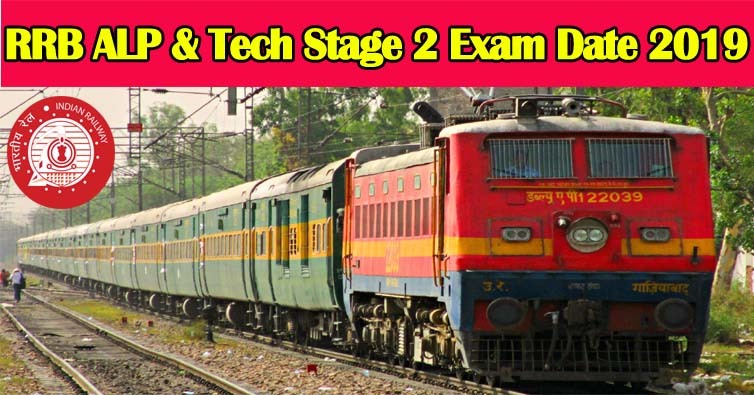 As per the latest notice released by RRB, the Exam is going to be conducted from 21st, 22nd and 23rd January 2019. The RRB ALP & Technician Admit Cards will be released 7 days before your exam is scheduled. Results of First Stage Computer Based Test (CBT) examination were published on the official websites of all RRBs on 02-11-2019. Few candidates have represented that there are errors in question/translation. In the wake of these representation all language translation of all the question papers are being reviewed. It is expected that after this review fresh result of 1st Stage CBT along with the revised list of candidates shortlisted for 2nd stage CBT is likely to be published by 20.12.2019. Accordingly, the Exam date for 2nd Stage CBT has been rescheduled on 21 st, 22nd and 23rd January 2019. - Duration: 90 Minutes (120 minutes for eligible PWD candidates accompanied with scribe). - No. of Questions: 100. - Negative Marks: There will be negative marking for wrong answers. For every wrong answer,1/3rd mark will be deducted. Candidates will have to visit the Official website ‘http://www.rrbbbs.gov.in for downloading call letters for online test. Intimation for downloading call letter will also be sent through email/SMS. Once the candidate clicks the relevant link, he/she can access the window for call letter download. The candidate is required to use (i) Registration Number/Roll Number, (ii) Password/Date of Birth for downloading the call letter.